What is it like to be a victim of vehicle crime? A local resident speaks about their experience of vehicle crime to raise awareness around this kind of crime and how something as simple as a jacket left on a seat can make your car a target. Can you start by giving me a brief outline of what happened? I was going into town for dinner and parked on a busy road at around quarter past eight in the evening. I came back around nine o’clock and didn’t realise anything was wrong at first. It was only when I got back into the car that I saw the broken glass and realised the front passenger window had been smashed. My jacket and sports bag had been taken and when I looked into my glove compartment, I realised my satnav was also gone. How did you leave your car? I’m pretty careful about leaving things in my car. I always leave my satnav in my glove compartment and I usually leave anything else in the boot of my car. The only reason I didn’t this time is because I was parked very close to the car behind me and couldn’t open the boot. I didn’t think it would matter too much as it was a busy road, I wasn’t going to be gone for long and it was still early. I pushed my sports bag under the front seat and just left my jacket on the seat. I didn’t think they’d be the kind of thing anyone would try and steal – there was nothing valuable in either of them. Why do you think your car was targeted? I think it was someone just walking down the street, saw the jacket, and took the opportunity given to them. It’s possible they also realised that there was a satnav in the car as it leaves marks on the windscreen. The street was very busy, but I suppose it just needs a few seconds when no-one is around. Another car a little further down the road also had its window smashed. What impact has this had on you? It was completely unexpected and at the time I was quite shocked. The damage to the window is covered by my insurance, but I still have to pay the excess on it. Plus, I’ve lost two days work as I need my car to be able to commute. I just bought my satnav and although it’s also covered by insurance, the excess means it isn’t worth claiming for. More concerning is that my home address is on my satnav, so I’ve warned my housemates and have double checked our home security – just in case. I also had some paperwork for my new job in my sports bag. Luckily I hadn’t filled it in yet, so it didn’t have my bank details or national insurance number on it. However, whoever took my bag now knows my name, home address, my job description, salary and where I work. I always shred all personal documentation before I throw it away, so I am not too worried about identity fraud, but I am still concerned that someone has this information about me. Do you have any advice for other people? Don’t make the same mistake I did and assume that this is something that won’t happen to you. I’ve lived in Cambridge for 15 years and never had this happen before. It’s just bad luck – being in the wrong place at the wrong time – but it’s worth being aware that it’s always a possibility and taking a minute to make sure that your car is safe. Remove all valuables from sight. Ideally take them with you, if not put them in the boot. Don’t leave bags under seats. Thieves know where to look and it’s a sign that there might be something valuable in it. Remove signs of valuables being in your car. Hide charger cables for your phone or satnav as well as the cradles and the marks they leave. Remove all jackets, clothing and bags. Even if you know nothing of value is inside, a thief doesn’t. Check that you have locked your car properly by testing the door handle. We regularly receive reports of thefts from insecure vehicles. Make your parking spaces secure. Report faulty streetlights. If you have a designated parking space consider installing CCTV or motion sensor lighting. Protect your valuables. Marking your valuables with easily identifiable information and registering them on www.imobilise.com will make them easier to identify if they are stolen. 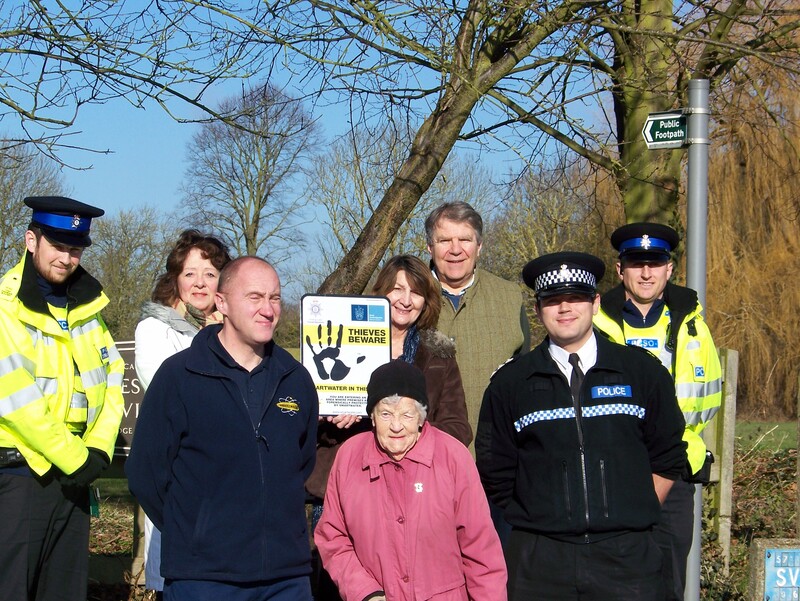 Please be aware there have been some recent incidents of burglary across South Cambridgeshire where older/ retired residents have been targeted. 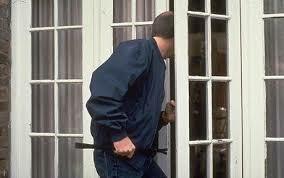 In some of these cases the offenders gained entry to the person’s home via an insecure door or window. 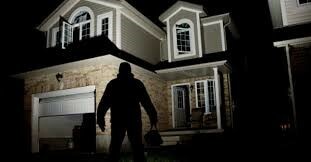 If you are at home always check your doors and windows are secure and locked before you go to answer the door. Always check before you allow someone into your home. Think are you expecting anyone to call? Use a side window or spy-hole to check the identity of the caller, before opening the door. Door-chains or door-bars can be useful but only when used correctly, a door-chain is there to give you the opportunity to check the callers details. It should not be engaged until you go to answer the door (some people get into bad habits leaving their door-chain on all the time, and then take the chain off to answer the door). Keep an eye out for older/ vulnerable residents in your community and contact the police if you feel it’s appropriate (see when to call below). Not sure? Don’t open the door. Selling door to door remains a popular way of trying to drum up business. Despite the explosion of internet sales, social media and email, talking face to face is still a popular way to sell. As the Internet and social media help communities spread crime prevention advice, we are now inundated by messages about scams and confidence tricks. So who should we trust? When reading letters, email, or shopping online we can take time to decide who we trust, research our choices and make a decision. One of the reasons that door step selling works for retailers is that it puts residents in a position where they must decide on the spot about a purchase. So what’s the answer? Firstly, make the choice not to buy or sell anything on your door step. Most traders or sales persons will leave if you tell them this. You may need to resist the natural urge to be polite, and close the door as many sales persons will continue to talk despite your verbal refusal to buy or sell. If anyone makes any kind of attempt to enter your home without being invited or refuses to leave call 999 immediately and tell them “I am calling the Police”. Sales persons/ reps – who do not ask for money up front; but maybe looking to sign you up to a commitment such as a broad band package or an energy supplier. There should always be an opportunity to cancel a contract within 7 days in any circumstances. Most of the major energy and telecommunications companies do not employ people directly to sell door to do. Do not expect to see identification from agents working on behalf of other companies, our advice is not to engage with these people as there is no way to verify who they are. Some mobile phone companies have previously, allowed third parties to work door to door to sell their products without any formal identification or accreditation. There is no fast way of finding out who they are by calling, so again we are forced to recommend that you do not engage with them. Companies such as British gas will only dispatch a sales person to your house if you phone as ask for quote. This is a far safer way of ensuring the person you are talking to is genuine. A hawker or pedlar – a salesperson who is selling door to door and requires immediate payment (often selling small items such as dusters etc). This is a licensed activity, and anyone doing this must have a licence and produce it to you. If the sales person does not provide a licence, call 101 to report these persons and Police will attend and the pedlar may be prosecuted for not having the correct licence. A rogue trader – someone (often known to the Police or trading standards) providing sub standard work or who tries to charge far in excess of the value of services they provide. They are often referred to as con-men. 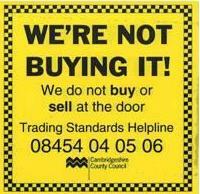 In general concerns should be reported to Cambridgeshire Trading Standards on 0345 404 0506, they will deal with any transaction over £42. These types of transaction require the trader to give you a 14 day cancellation period and a notice on how to cancel. If there is no 14 day notice provided then the trader could be prosecuted and the contract is unenforceable. If you feel a person is trying to “con” you by asking for money on the door step for work they have undertaken then call 999. There are a number of reputable, honest and accredited door to door sales persons. For the elderly, infirm and vulnerable it is very difficult to say no for a number of reasons. The best approach to take is not to buy or sell anything at the door step. www.consumerhub.org Led by the Citizens Advice Bureaux – find out more about protecting yourself from scammers, rogue traders and irresponsible lenders. Consumerhub is a partnership led by Cambridge CAB, working with Cambridgeshire Trading Standards and other organisations in the county to provide consumer advice and information to the county’s residents. We can also alert people to scams that are affecting local communities, to make sure that they are less likely to be exploited. Another online resource is www.buywithconfidence.gov.uk a government site which aims to put residents in contact with reputable traders. Whenever you think a crime has been, or is about to be committed. Last Thursday evening, the 9th of July, officers were called to support ambulance staff at Byron’s Pool in Grantchester where 4 young males who had taken liquid LSD were found in varying states of distress and confusion. One was being physically restrained by a parent who had been called to the scene by worried friends. All four were in a very vulnerable state and they were taken to hospital for treatment. They have subsequently told us that they had bought the drug from a local dealer who had put the liquid LSD on sweets for each of them to eat. This alert is to highlight the risks of taking LSD, which is potentially more potent in liquid form. Without the intervention of friends and family, and then the work of the emergency services, this situation could easily have ended in tragedy. It was clear that the perception of risk and reality of all four males was severely distorted by the drug. In the past 48 hrs there have been a total of six catalytic convertors stolen from delivery vans at a commercial business in Bar Hill, and also from a business in Waterbeach South Cambridgeshire. The vehicles targeted are Mercedes Sprinter vans. The sprinter van is a very popular fleet van, used by most delivery companies, van hire companies and supermarkets amongst others. A catalytic converter controls and converts exhaust emissions from your vehicle into less toxic substances. They are being stolen and sold for the re-sale value of the four precious metals from which they are made. Fix a catalytic converter security device (e.g. ‘Cat Clamp Maxx’ available from www.catsafe.org.uk). Or contact your local garage who may offer bespoke security fittings, such as clamps and cages for catalytic convertors. Vehicles with a high ground clearance such as delivery vans are particularly vulnerable. South Cambs Business Watch Officer, Leanne Fisher said: ” You may not know your catalytic convertor has been stolen because your vehicle’s engine will sound different. A catalytic convertor can be stolen in a matter of seconds and is worth a few hundred pounds in scrap value but the cost to your business can run into the thousands including repairs and disruption’’. http://www.commandersecurities.uk – also offer security devices for items such as Catalytic converters, they are a Secure by Design approved company. Residents have been warned to be vigilant after a number of suspected rogue trading incidents across Cambridgeshire. Vulnerable residents have been targeted in Over, Little Paxton and Milton village by people charging large amounts of cash for work to be carried out on their homes. The work is either not carried out at all or finished to a poor standard at a fraction of the price charged. Police received three reports of incidents of rogue trading on Monday 8 September. Offenders took more than £5, 000 from a man in his 60’s in Milton for decorating, however they left before carrying out any work. A 65 year old man and a 25 year old woman were arrested on suspicion of fraud in connection with the Milton case, they are bailed until 28 September. A woman in her 90’s reported that she had paid out around £6,000 for sub-standard work at her home in Little Paxton over recent months. There were also reports of males calling at the homes of two elderly residents in Over offering to carry out building repairs that were not needed. They both declined, and contacted the police. 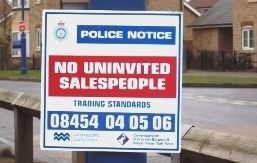 Rogue Traders usually call unannounced they target vulnerable groups such as older people, or those with health problems such as memory loss which makes them more at risk. Offenders will often initially charge a small amount but then dramatically increase the price and can become threatening or aggressive if the victim does not hand over the money. 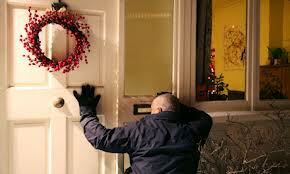 Please be vigilant for suspicious activity and look out for elderly or vulnerable neighbours, we urge people not engage with cold callers and do not allow them into your home. Never sign up to have work done straight away, do some research and get several quotes from different firms.